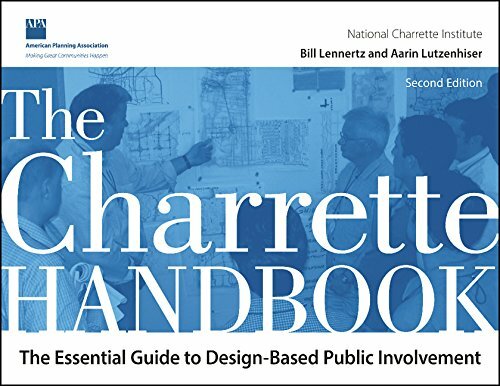 Although they have traditionally been used for larger scale planning and design projects, the concept and procedures used in design charrettes are something we can practice across a variety of scales in our town’s realms. We can use this process to bring order to our lives and make sustainable choices together. If you know any architects or other design-types, then you know that we are always working right up to the deadline. It's the nature of a creative's brain to continue evolving and streamlining a design until it must leave our hands. There is never enough time! But, this is where a design charrette offers victory through focused action. From looking online there are many alternate yet parallel paths for defining this term. I like the following description best! — Quote by AIA Committee on the Environment (COTE) from Bonda, Penny (2007). 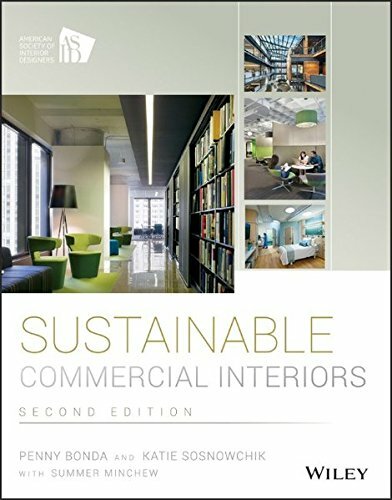 Sustainable Commercial Interiors. John Wiley & Sons. p. 29. As an architect I have been fortunate to be part of design charrettes and workshops on both sides - as a participant and a facilitator. In Oklahoma's Main Street America™ communities, I often help facilitate design charrettes of all kinds. As the Oklahoma Main Street Program's (OMSP) staff architect I cover the Main Street Design Point, working as a broad-generalist in historic commercial district design issues. OMSP regularly retains designers, planners, and even branding specialists to support our communities' individual design efforts (as well as training and support related to the other 3 Points).These types of professional-led, facilitated design charrettes are typically 2-3 days in length, and follow some version of the process that I will outline below. Design charrettes are often facilitated by an outside specialist with expertise in downtown planning, neighborhood revitalization, home organization, and the like. But, the truth is that you don’t need to pay someone to show you how to organize your home, or affect your neighborhood and downtown realms. They also do not have to be multiple days. I have facilitated micro-charrettes, which are a condensed version of the same process, often for much more focused and smaller scale projects. These can last as short as an hour or two, but the results will not be as exciting or as well-considered. You are already the expert on these places and have an inherent response to the condition of each. Although you may want to hire a professional with particular experience later, my hope is that in our Green Heart Town community we can all learn the tools we need to take action, sharing and inspiring others as we go. So let’s get started! First, we need to understand who should be involved. Even though we all play a role in improving all three community realms, we have to consider our point of view for each. An easy way to sort this out is to consider if the design charrette will be a private or public concern. In your home, business, or other private property, your design charrette will only need to involve those concerned. Your family, partners, co-workers, customers, and others close to the use of the property should be considered in any invitation for problem solving. For privately owned property, there may only be a few exceptions when you would want to involve the public at large. This would typically be if you were privately funding the building or stewarding a property that you planned to share as a public resource or a gift to the community. However, when you are working at the neighborhood scale or in your downtown, involving the public right-of-way, or public property of any kind, a design charrette should involve an appropriate section of the community. Public engagement is crucial if you want your efforts to succeed. Design charrette facilitator: A person who understands the charette process, and the background of the work being considered. Steering committee (aka - chief decision makers): The chief critics; the oldest and wisest in the group; they understand the issue at hand; they agree to champion the final plan moving forward. Representatives from user groups and local organizations: In a single family home this might be everyone, but in a multi-family community where there is public space, others will be needed. Neighborhood design charrettes might include representatives that champion the needed roles, such as neighborhood watch, block captains, beautification, HOA president, a couple energetic (and positive) homeowners. It all depends on your neighborhood. Downtown design charrettes become even larger and more inclusive of the community. You will need representatives from several City departments, Main Street organization members, building and business owners, community elders, concerned citizens, and don’t forget the younger generation, too. Truthfully this all depends on the project, but keep an open (and curious) mind. You might be surprised what kinds of folks with unique and amazing skills are in your community! We use the word “or” because of the split paradigm between public and private concerns. However, the more broadly and inclusively you can consider your plans - bridging community realms - the better your chance of finding the most sustainable solution. Next time I will share some examples of design charrettes in each of three realms: Home, Neighborhood, and Downtown. What questions do you have about the process? Send me your questions, and we can cover those next week too! Everyone needs ideas, and who doesn't love checklists? Here is a great resource from the website www.inclusion.com called: 75 Actions That Build Community: connect with others • build trust • get involved, by John O'Brien. Affiliate links: If you purchase anything on Amazon after clicking an affiliate link, I receive a small commission at no cost to you. Thank you for supporting my website.